John Torres has the sensibility of a romantic poet, the mode of address of a personal essayist, and an anthropologist’s curious, lingering, critical eye. His four features—all shot on miniscule budgets with the help of modest grants, cheap digital equipment, and, in one case, expired film stock—count among the central achievements of the New Philippine Cinema, a movement with which he’s been closely associated for nearly a decade. If Torres hasn’t yet reached an international profile comparable to those of his frequent collaborators Lav Diaz and Raya Martin, it’s perhaps because his films never let one determine with any confidence what sorts of movies they are. Confessional diary entries morph into personal anecdotes, which bleed into ethnographic studies, which branch into folk narratives, which dovetail into historical evocations, which segue into clips of found footage, which give way to portraits of Torres’ friends and sketches of strangers. On first encounter, Torres’ films can seem disarmingly intimate—he routinely writes his voiceover narrations in the second person—as well as cryptically withdrawn, meandering in structure yet densely packed with detail. Torres was born in Manila in 1975, three years after president-dictator Ferdinand Marcos initiated a nearly decade-long period of martial law; he was still a child when Marcos was non-violently forced out of office by the democratic “People Power” movement led by Corazon Aquino, whose husband had been among the highest-profile of the Marcos regime’s many victims. Nonetheless, the country into which Torres came of age was still far from stable: a nominal democracy rife with economic inequality, shaken by resistance from far-right Marcos loyalists and communist insurgents, and weighed down by an inefficient, opaque, and corrupt government. The Philippines’ previous cinematic golden age—the era that produced Lino Brocka’s Manila in the Claws of Light (1975), Mario O’Hara’s Three Years Without God (1976), and Ishmael Bernal’s Miracle (1982)—had ended around the time of the fall of the Marcos dictatorship, and there were few alternatives to the mass-produced, formulaic production model of the mainstream film industry. These early shorts show Torres at his least disciplined and most self-revealing. To make Tawidgutom (2004), Torres passed his camera frantically over a catalogue of domestic objects—light fixtures, mantelpieces, benches, walls—edited the rushes into a flipbook-style montage, filmed the footage as it was played back on a TV monitor through a haze of digital noise, then layered the results over his own fragmented, confessional voiceover narration and juxtaposed them with cleaner, sharper images shot on the streets of Manila. (At one point, Torres obsessively loops a short clip of two lovers embracing; at another, the monitor footage—now reduced to almost total abstraction—is further superimposed onto shots of a bulky digital camera.) Salat, a digressive diary film made the same year, is longer, less condensed, and closer to a traditional home movie in style and form. Like Tawidgutom, it’s essentially a private dispatch: a painfully unguarded stream of thoughts, anecdotes, and pleas addressed to Torres’ ex-girlfriend, who appears onscreen beside him in the film’s prolonged, intimate central scene. Torres never meant to show Tawidgutom or Salat to strangers, let alone international audiences; he expected to screen the films for his friends at small private gatherings in Los Otros, his cramped Quezon City studio. But Tawidgutom was invited to play at a small festival in Berlin, and Torres—who had recently become involved with another long-term girlfriend—travelled with it. Abroad on his own for the first time, he made a fast, strong connection with his guide, a young Russian woman named Olga with whom he joked, bantered, and conversed in English. The footage Torres shot of her as their friendship snowballed into an affair became one of the central elements of his first feature, Todo Todo Teros (2006), a formally dazzling hybrid film that takes the form simultaneously of a public staging of the filmmaker’s infidelity and a private reflection on its emotional toll. The footage of Olga, and the unspoken fact it represents, is the film’s ultimate subject, but Torres zigzags around it in wild, unpredictable arcs. Before the opening credits (which are superimposed over green-tinted security camera feeds of a noise band playing a cacophonous set), an interviewer asks a pair of young artists whether Filipino independent filmmakers are ever perceived as guerilla terrorists. Yes, comes the answer, sometimes; and for the rest of the film, Torres refers to his onscreen surrogate as “the terrorist.” In this context the word’s connotations are arguably as personal as they are political, but favouring the former risks understating the extent to which Todo Todo Teros explicitly reflects on the Philippines’ reputation in some corners of the West as a political and economic danger zone. If the interviewer’s opening question is a kind of challenge, then Torres’ response is to re-cast Manila as the site of a booming bohemian underground, a place of unbridled, radically independent creative activity. On some level, then, Todo Todo Teros is a self-conscious time capsule of a new independent cinema coming into its aesthetic, political, and cultural own. Tioseco, Lav Diaz, and the legendary experimental animator Roxlee have cameos, as does the poet Joel Toledo (who collaborated with Torres on the story) and the filmmaker Khavn (who performs the film’s delicate piano theme). Like Khavn, Torres is a musician—the two still play gigs together in Manila—and the soundtrack of Todo Todo Teros, an intricate web of narration, dialogue, incidental sound, and music both live and recorded, swings between harmony and chaos in a complex seesaw rhythm that sometimes intensifies and sometimes overrules the images’ emotional tone. There is no natural place here for Torres’ footage of Olga, partly because it departs so sharply from the film’s dominant visual aesthetic—it was shot in black and white, with a looser, bouncier handheld style than the rest of the film—but primarily because, unlike the rest of the movie’s rushes, it wasn’t initially meant to be publicly shown. Rather than integrate the clips into the movie’s diegetic space, Torres presents them as found-footage objects discovered by the movie’s characters. The terrorist’s fictional wife (Pusong Bughaw) spends the film despairingly watching the footage from a grainy TV monitor and pressing her face against the screen; in the film’s final minutes, she cues it up on a projector and embraces the machine, bringing her face into vivid profile. There is something both deeply risky and disarmingly candid about the way Torres projects the evidence of his affair into an imagined mental space where its consequences can be staged, rehearsed, and acted out. That isn’t to say that Years lacks the instinctive, reactive quality that made Todo Todo Teros so exhilarating. In the opening passage—a wordless hangout session in a Manila loft between Khavn and Raya Martin—Torres’ camera darts attentively from detail to detail, lingering on the edge of a face or the slope of an arm, teasing out subtle shifts in the shade and texture of the room’s humming artificial light. Nor is it any less wildly digressive than the earlier film: the recreations of Torres’ childhood, which play roughly the same role here as Bughaw’s scenes in Teros, are always ceding ground to snatches of Manila street photography, nested stories-within-stories (including a lengthy ramble between a talkative exercise instructor and her besotted male friend), allegories, sketches, and asides. As it accumulates subjects and testimonies, Years slides from the space of personal anecdote to that of national history. Some digressions push it farther in this direction than others: an early episode set at the headquarters of the educational video business that was owned by Torres’ father (author of such books as Reading Made Easy and How to Grow Five Inches Taller) before the market crumbled; a passage in which Torres reflects on the fate of his childhood housemaid over a single, blurred photograph of the woman’s face; an extended, chatty interview with Jose Maria Sison, the founder of the Communist Party of the Philippines, at the house in the Netherlands where he has lived for years as a political exile. 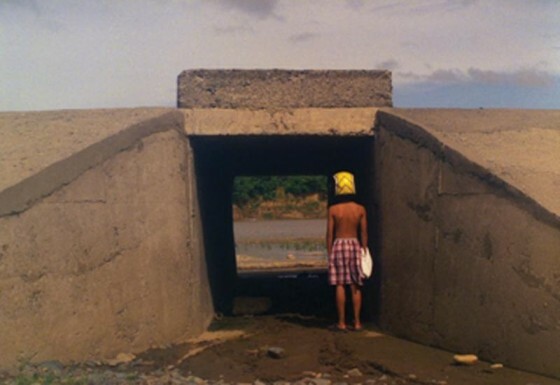 The film’s central drama is arguably Torres’ gradual association of his own childhood abandonment with the broader currents in Philippine history these scenes call to mind: the tension between the country’s urban and rural sectors, the widespread effects of its recent and ongoing political upheavals, and the sea changes taking place in its habits of cultural memory. Sarah (Che Villanueva) is a binakod, but she is also the heroine of the story she has been instructed to learn—about a beautiful young woman who turns herself into a man to rescue her imprisoned lover—as well as a debt collector in Guimaras and, possibly, the surrogate daughter of a revolutionary general during the Philippine-American war whose faction collapsed after his biological daughter died of food poisoning during a “meeting of elders.” It’s nearly impossible to pick up all this information—delivered in snatches by intertitles, dialogues, and occasional songs that act as intermezzos between segments of the film—on first viewing, and even after a second, much is left open to interpretation; it’s unclear, for instance, whether the young man Sarah seeks out in the film’s final act after “meeting him in a dream” is real or imagined, or, indeed, whether much of the movie is not the fantasy of a sequestered girl living in a world of stories and myths. Refrains’ elliptical structure—its seamless blurring of history and fiction, its constant identity slippages, its associative, cause-and-effect-shunning dream logic—often seems closer to the model of a modernist poem than to that of a narrative film, but many of the movie’s individual scenes are surprisingly earthbound: loose, rambling, packed with drawn-out conversations and stretches of empty time. It’s interesting to watch Torres’ visual sensibility develop from the excitable, everything-but-the-kitchen-sink approach of his first films to the hazier, more restrained style on display in Refrains. Torres still goes in for the odd skewed-angle close-up or hovering, off-balance composition, but the overall impression has become one of detached, patient observation. Working here with a dominant colour palette of pale, faded greens, purples, and browns, Torres is always softening the image, blurring sharp lines and intensifying the glare of the frame’s abundant natural light. A handful of scenes linger particularly vividly in the memory: footage of Sarah wandering through the house of the general, now a “grieving revolutionary,” superimposed over a luminous shot of her profiled face; a band of half-hearted rebels wandering through the streets of a small town trying to sell their gleaming machetes; an interlude set on a passenger boat in which the narrator skims over the life stories of each passenger, immediately followed by a shot of Sarah, temporarily stepping out of her multiple identities, sitting in the shallow waters of a beach as the tide rolls in around her, imagining where she wants the movie—her movie—to go next. Lukas the Strange is the first of Torres’ features to be shot on celluloid (specifically, on scraps of expired 35mm), and not coincidentally, it’s also the film of his that is most obsessed with the physical marks that time’s passing inscribes on bodies, places, and countries. Torres has always set his films in some sort of relation to his country’s cinematic history—Todo Todo Teros included footage shot at a screening of Sari Lluch Dalena’s experimental 1998 short White Funeral, and Refrains’ title is a riff on Nick Deocampo’s Revolutions Happen Like Refrains in a Song, a triptych of 8mm films shot during the 1987 revolution that overthrew the Marcos regime—and he continues to do so here: Lukas’ intrusively dramatic score and out-of-synch soundtrack are crafted to evoke the cheaply-made Filipino films on which Torres grew up in the ’80s, such as Ishmael Bernal’s My Husband, Your Lover (1974), from which Torres includes a few ragged excerpts in Lukas. Never before, however, has Torres made a film so directly concerned with the three-way relationship between the camera, the images it produces, and the passing world it records. And as in Years When I Was a Child Outside, there’s a direct correspondence between the world in question and the world of Torres’ past: Torres shot Lukas in his mother’s hometown, cast his nephew as Lukas and a distant uncle as the boy’s father, and fills the movie with portraits of the weathered, scarred, and time-worn faces of his far-removed relatives. “How can you forget where we grew up? The view from my window? The wood that’s remained?” asks the film’s narrator, a young woman slightly older than Lukas who watches over him protectively throughout the movie, as Torres’ camera lingers on Lukas’ weather-beaten house. The faces, bodies, and environmental details that fill Lukas are, on some level, evidence of the time Torres spent in this village during his childhood, but what counts is ultimately the persistence of the evidence itself: its material presence, its chances of survival, and the claims it makes on us to preserve it in memory. This, it seems to me, is Torres’ way of refusing to choose between tracing out his country’s history and plumbing the depths of his own, and thereby of correcting the unstable dynamic of his first two films. The remarkably wide gulf—in tone, style, structure, setting, and mode of address—between Todo Todo Teros and Lukas the Strange is partly a factor of Torres’ age and partly a question of his audience. Torres’ early films, made for himself and whichever of his friends might be interested, sometimes come on too strong for an outside viewer, divulging their secrets too readily and presuming intimacy where none exists. As his films have gradually shifted their focus to the ghosts and icons of Philippine history, they have begun to speak in a register more natural to international audiences—and it is by opening up in this way to the world outside their maker’s head that they have learned to talk more and more lucidly about the world inside it.